Now the welded steel pipe fittings have some problems. Pipe diameter has become smaller, leading to its flux lessen. When installing, it is hard to grasp the tenseness or looseness about the spirals. 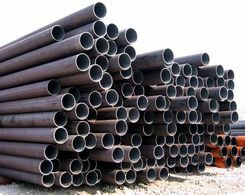 If it is tense, it is likely to lessen the pipe diameter; if it is loose, it is easy to cause rust and corrosion and pollute medium. Due to fittings' plastic interlayer, the temperature is under restrictions. 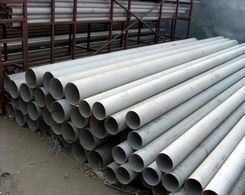 And because of the limits of fittings, the applications of the welded steel pipes are hindered. 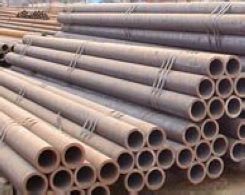 Characteristics of the welded steel pipe fittings: the installation dimensions of welded steel pipe fittings must be in according with the national standard sizes. And physical dimension is derived from the course of fabrication. And the welding quality of welded steel pipe fittings should strictly follow the welding parameter. Achieve the fundamental unify of welding lines and geometrical shape through the use of automatic welders to ensure stable and reliable welding quality. In addition, the use of welded steel pipe fittings lowers the cost and makes all kinds of pipe properties integrated, stable, reliable, and safe. Groove connection technology, also called clamp connection technology, has been the most popular technology in the connections of liquid pipelines and gas pipelines. Although this kind of technology is developed later than foreign countries, it is accepted quickly by domestic market because of its advanced technology. Groove connection fitting consists of three parts: sealed rubber ring, clamp and lock bolt. The inside sealed rubber rings are placed the outside of the pipes, identical to the grooves which are rolled in advance. Then fasten clamps at the outside of the rubber rings and secure with two bolts. The designs f rubber seal rings and clamps are adopted specific seal, making groove connection fittings possess favorable air tightness which enhance with the rise of the fluid pressure of the pipes. Flanged joint, the most common fittings in pipelines project, is a kind of discoid component, and is used in pairs. In pipeline projects, it is mainly used for the connection of pipelines. Flanged joint is to fix two pipes, fittings or equipments on a flange plate, or two flange plates with a flange pad in the middle, and then fasten them with bolts. Its advantages are high bounding strength, and convenient for disassembly. When connecting to pipes, it head face should be vertical to the center line of the pipe, and two counter head faces should be parallel with each other. When sealing the flange, it must be smooth through process, without any longitudinal groove and blister defects. And there is one pad in one connector, with the pad inner diameter larger than or equal to the pipe inner diameter, and outer diameter sheltering from screw. This kind of flanged joint can be used in fire protection water system, air-condition control system, water supply system, petrochemical engineering pipeline system, thermoelectricity system, sewage treatment pipeline system, etc.